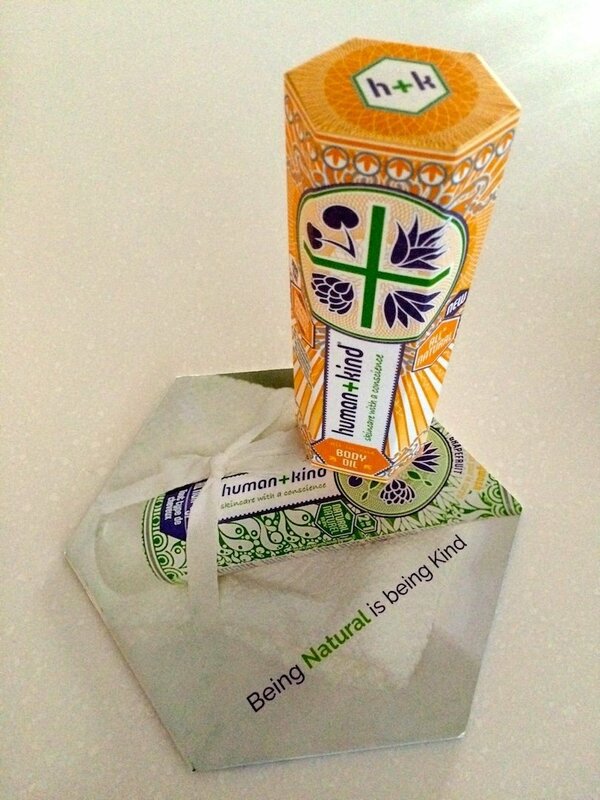 Human + Kind is an Irish brand, and to me, the packaging is so nice and pretty it looks like one of those brands that pretends to be natural but when you read the ingredients it really isn’t – but not so. Human + Kind does have a few ingredients that are hard to pronounce on their labels, but on further investigation on their website, you will soon see that these are just the fancy names for things like sunflower oil, broccoli extract and the like. Another range of lovely and gentle products without any nasty petrochemicals indeed. Given my current condition, I’m all about trying to keep my skin soft and supple and attempt to prolong the onset of stretch marks for as long as possible, so I was keen to try out their Body Oil (Dhs80). I can’t tell you how amazing this oil smells – it is absolutely beautiful and it also blended easily into my skin without leaving too much residue behind – I was still able to put on clothes after using it without getting oily marks everywhere. Aside from it’s obvious benefits for those with growing babies in their tummies, it would also be great as a heavy moisturiser for those with dry skin (also like me!). I love it, and it will definitely be on my purchase list again. I’ve also used their Family Remedy treatment (not pictured) which is one of those magic creams that is good for just about everything – dry skin, chafing, minor burns and bug bites… Pretty much any minor scratch or scrape that you can think of. If you’re already a fan of Australian natural Paw Paw creams as multi-purpose skin fix-it tools, then give it a go – it has a thinner more easily absorbent texture than Paw paw. 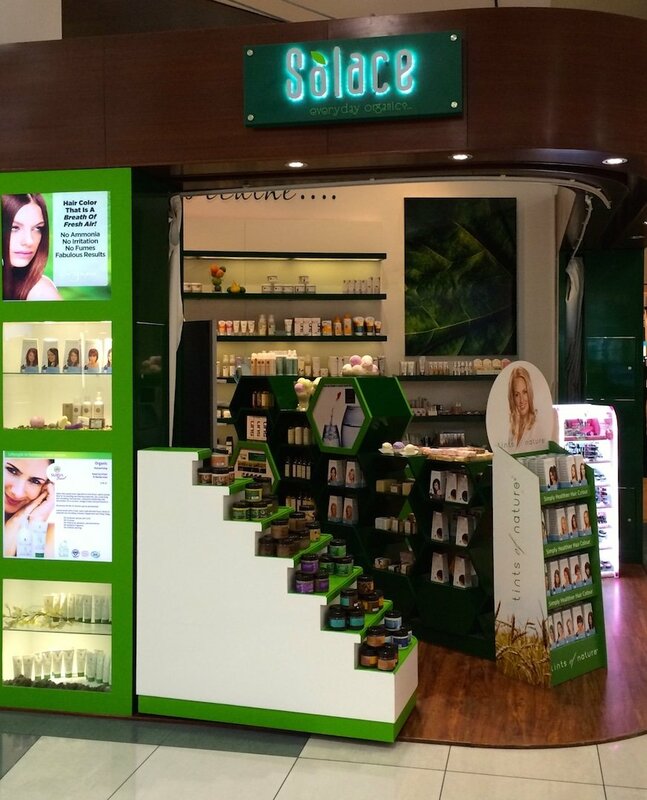 Human + Kind products are available at Boots in the UAE. 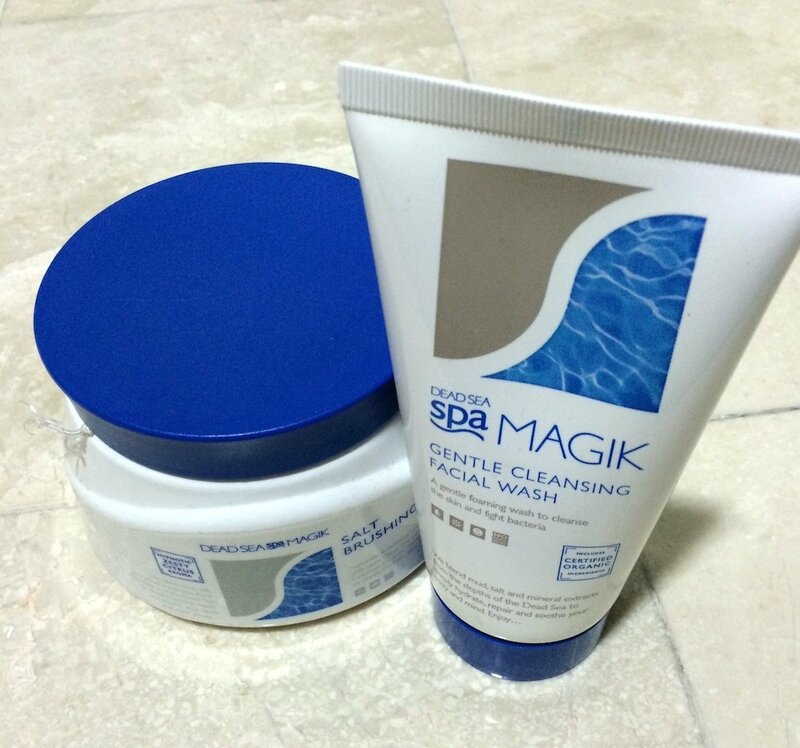 I can’t write this post without writing about Dead Sea Spa Magik. Their products are made with Dead Sea minerals and contain many certified organic ingredients along with no parabens and only allergen-free fragrances, and it’s a range I’ve quickly grown to love. I’ve used their bath salts which are fabulous for a deeply relaxing and skin softening bath, their salt brushing skin scrub – gentle yet exfoliating and well worthy of the positive press and hype it receives and also the gentle face cleanser which is my current daily favourite. It’s so foamy I only need to use the tiniest amount so I think the tube will last forever and it just leaves my skin feeling so soft and well cleansed without ever being dried out. Love it. I also suffer occasional problems with a dry, exzema-y scalp so I’ve also tried out their scalp mud mask which is brilliant. I use it after shampooing with my normal shampoo at most once a week but to be honest not even that often and even then I’ve found it quickly banishes any scalp dryness or discomfort and also leaves my hair amazingly soft and bouncy. You can get their products in the UAE at Holland and Barrett. Now I don’t know about you, but I love Holland and Barrett. Maybe it’s a British thing, I don’t know. For now, Holland and Barratt shops are only in Dubai, but if you’re going up there it’s worth a peek inside as you’ll find heaps of natural beauty products and skincare including ranges like the much loved Dr. Organic, Dead Sea Spa Magik as I’ve spoken about above and much more. And… *drumroll*, I’m excited to say, that word on the street has it that Holland and Barrett will finally be opening here in Abu Dhabi in Dalma Mall and Bawabat Al Sharq Mall in January 2015! So keep your eyes peeled for news on that! I came across Solace one day when wandering around Al Wahda Mall. I’d never ventured inside before, but since I had a bit of time I decided to investigate its claim of ‘everyday organics’ on the sign. I haven’t tried any of their products yet but inside at the back near the counter, I did come across a couple of brands that caught my eye and had very pure, natural ingredient lists: 100% Pure and Green Hands. Once I’ve worked my way through my current stash of products I’ll definitely be going back to try those out. If you’ve tried them out before – do let me know what you thought! And that’s about it for now until I go shopping and stock up on the brands I haven’t tried yet! I did originally say this was going to be a two-parter, but since I’ve started investigating natural products here I keep finding more, so do stay tuned with me for further updates as I buy and try! Do you know of anywhere I’ve missed so far that sells decent natural skin care? Do let me know! Please do also let me know if you’ve tried any of the products I’ve mentioned, I’d love to know what you thought! Thanks for this post, I arrived in AD six months ago and it took me some time to find natural products ! The supermarkets and most pharmacies were full of stuff I simply would not buy ! Al Manara pharmacies in Marina Mall and Abu Dhabi mall sell the Weleda products which are my personal favourites, especially for babies. You can also find Arabian products such as henna, rhassoul and Aleppo soap in the herbal shops in WTC mall. All top tips, thanks! Will have a look at the Weleda products for Baby Arabian Notes 🙂 I’ll post more updates and reports as I find and try more too!